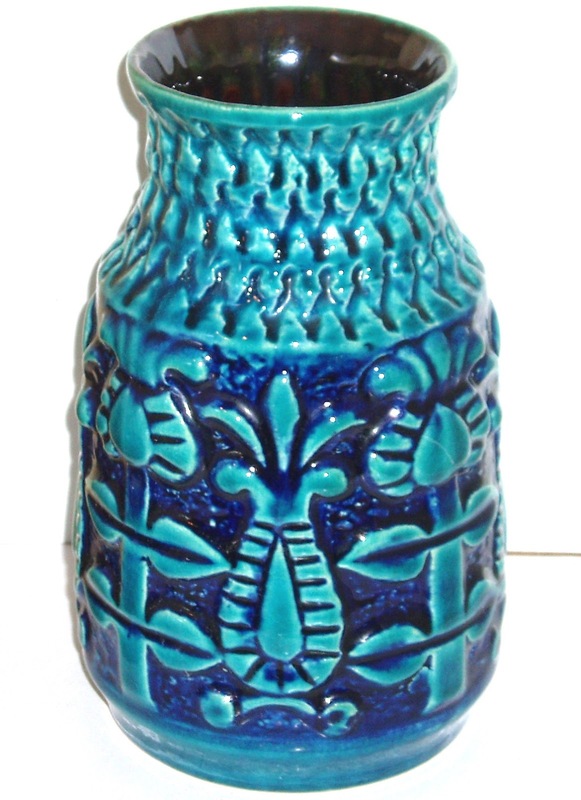 Proposed for sale is a piece majolica vase, made ​​handmade, the '60s and '70s, with a beautiful embossed floral design, beautifully styled. 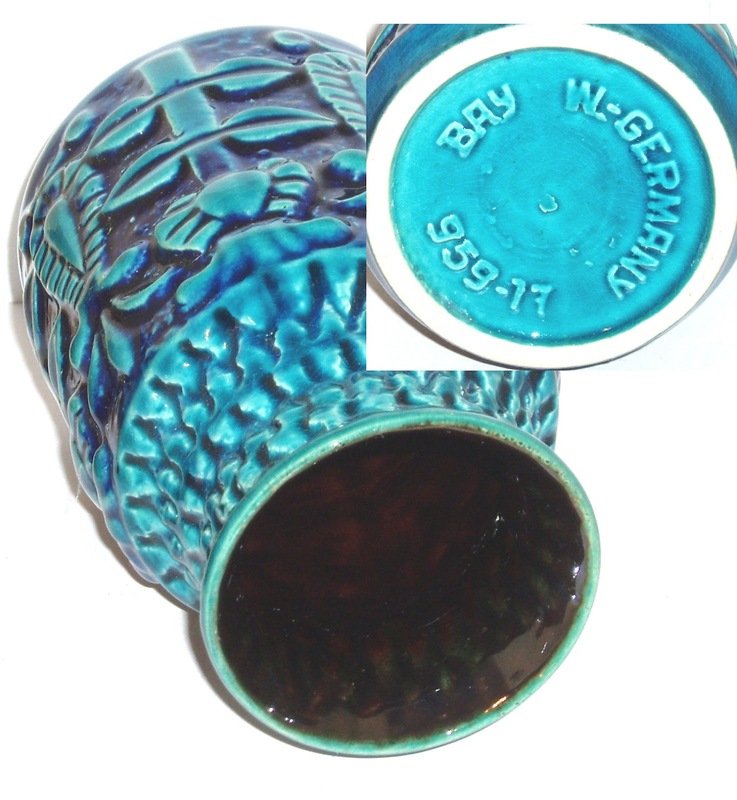 The resistance, however, is the combination of blue vases Bitossi style, that the ultramarine blue Rimini. Vase is beautifully enameled both outside and inside, and although very decorative - a piece of shelf, I would say - is for hosting flowers less sophisticated (from Hawthorn to chrysanthemum or carnation), but may equally well, to be exposed as a piece of art pottery. Dimensions: 17 cm height, 11 cm diameter. The piece is authentic, marked Bay W. Germany 959-17.